When the size of a conservation district’s programs will benefit from more effective day-to-day management, the board of directors should work to make that happen. Doing so benefits the district’s customers by assuring accountability and forward progress. The board must also evaluate the executive’s performance, and when necessary, replace the executive. Who establishes district policies? That is a key job of the board of directors, along with adopting strategic and operational plans. Policies and plans should be clearly stated, appropriate, and useful. It is the board’s responsibility to hold people accountable. Who should be held accountable? Employees, board members, associate directors, partners, funders, customers: everyone who works with the district or affects the district’s programs. When you have a chief executive, some of that responsibility will be delegated to the executive. The ultimate responsibility always rests with the board of directors. The board must assure that assets and resources are being properly used, and that promises are being fulfilled. 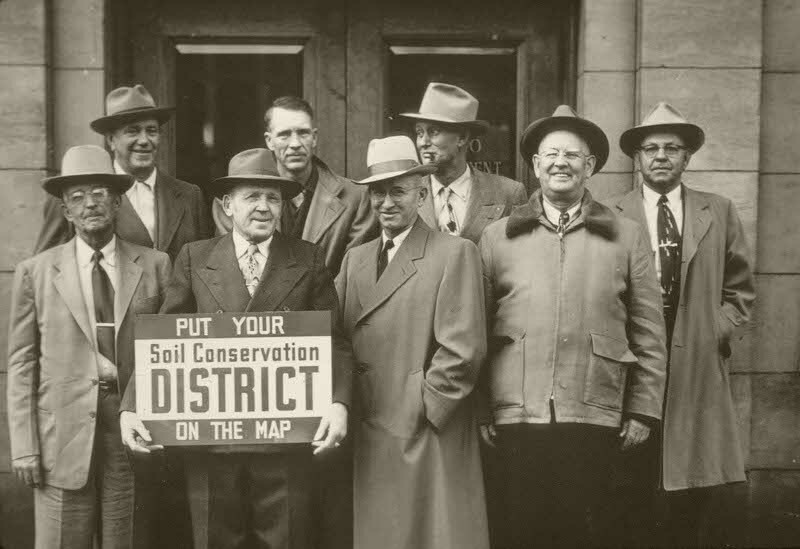 There are a multitude of natural resource issues facing soil and water conservation districts. The board should use associate directors, employees, partners, and other experts as needed to understand issues. Once well understood, the board should establish positions on the most important issues. Throughout this process, it is vital to develop and nurture relationships with elected officials and agency heads. While it is tempting to delegate this activity to others, good working relationships cannot be built and maintained by proxy. Attend and actively participate in all board meetings. Keep abreast of local conservation issues. Attend area and state meetings of the state association. Promote the district’s work to local landowners. Promote the district’s work to its constituency. Promote the district’s work to legislators and other decision makers regarding the district’s funding. Identify local conservation needs and work to meet them within the limits of its resources. Keep its conservation district’s mission in focus. Be very knowledgeable about laws that govern how the board must operate, such as budget, audit, public meetings, and contracting laws. Ensure the board’s policies and activities are consistent with the policies of the Oregon Department of Agriculture, Natural Resources Division and the Oregon Soil and Water Conservation Commission. Ensure the board’s long-range business plans are consistent with the policies of the Oregon Department of Agriculture’s Natural Resources Division and the Oregon Soil and Water Conservation Commission. Develop and work to carry out effective Annual Work Plans. Report to the public on the district’s programs and accomplishments. Keep legislators and local government officials informed on district accomplishments. Do a periodic “self evaluation” of the board’s progress toward accomplishing its mission, Annual Work Plan, and Long-Range Plan. Promote what the district does to local landowners, other constituencies, county commissioners, agencies, organizations, legislators, and the news media. Seek new partners in conservation efforts. Sources used for this page include presentations made by Tom Salzer and material produced by the Oregon Association of Conservation Districts.